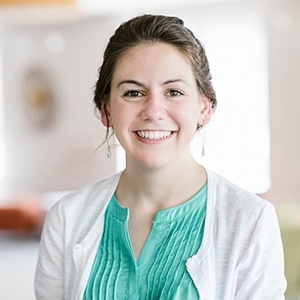 Marie Greenway is a music teacher at Immanuel Lutheran School in Alexandria, Virginia. She graduated from Hillsdale College with a degree in music and has worked and volunteered as a church musician for several years. When Marie is not studying, listening to, or performing music, she likes to read, run, and eat chocolate ice cream. I live right outside Washington, DC, a transient area where a two-year resident is practically a seasoned veteran. This area recalls the constant movement of our culture and the idea that things simply do not last or even last long. In this day of discarding the barely used for the brand new, how do we ensure that our artistic endeavors in the Church last? Specifically, how can our hymn texts survive a rapidly changing culture? Our culture often promotes relaxed and casual attitudes toward church, urging that a church should be a place where you feel welcomed and comfortable and where you can enjoy your favorite songs while sipping your favorite latte. As appealing as this sounds, why should we strive to keep church and worship reverent? What does music have to do with it? Students, especially middle schoolers on the cusp of adulthood, long to be treated with respect and dignity; however, as music teachers, it is often tempting to search for music we think might be popular with our students regardless of musical, or spiritual, value. As soon as we recognize that kids can tell when we are trying to cater to their childishness rather than help lead them toward a mature adulthood, we can see how valuable hymns are in teaching our middle schoolers. As Christmas approaches, everything around us tells us to be merry and happy—and we should be as we rejoice at the remembrance of the birth of Christ. For us church musicians, though, this time of year finds many of us busy, anxious, and stressed, a far cry from the Christmas cheer everyone around us espouses. Fortunately for us, our tasks during this season lead us to the truth, the ultimate cause of rejoicing. Abide with me, fast falls the eventide. So was my family’s anthem nearly every evening when I was little. We made it our own with little added embellishments, as kids (and sometimes dads) are wont to do, and then scurried off to bed (always obediently and willingly, I might add—just don’t tell my mom I said that). Little did we know the preparation that was taking place, the ultimate preparation in life: we were preparing to die. Have you ever attempted an extempore prayer? I know I have been in many situations in which someone calls upon me to offer a prayer, and I confess I don’t have many memorized beyond the basics (the Lord’s Prayer, Luther’s Morning and Evening Prayers, etc.). The ability to compose a prayer on the spot is important to learn, but oftentimes, previously composed prayers are more thorough and eloquent. A music history professor once painted this picture for me: “Imagine you are a commoner in the Middle Ages, slaving away in the fields every day. Now imagine you walk into church. When it is cold outside, the church is warm. When it is hot outside, the church is cool. Now imagine you come into church and hear this.” And she played for us a Gregorian chant. It is hard to believe that summer is already nearing its end. For me personally, it has been a time to rest and enjoy traveling and relaxing. Although I realize it is not always that way for everybody, I imagine that many people, especially church workers, have a bit more of a relaxed schedule during the summer. In particular, the summer is a time during which church musicians can catch their breath. Does the Memorization of Hymns Matter? We often use music as a tool to memorize things, whether they’re presidents, books of the Bible, states, parts of grammar, the Small Catechism, or any number of other items. The rhythm of songs and the catchiness of melodies make music a convenient vehicle to relay and hold onto facts, stories, lists, and so on. Music in this way serves a great purpose. But have you ever stopped to wonder why we memorize things? Sure, instantly recalling a fact or name is good and useful and usually speeds up the work that needs to be done. But is there a greater purpose to memorization? Does music’s ability to make memorization quick and easy contain a higher good than simply recollection of fact?